Hurray!!! Together, we did it! We have tallied all donations and we are happy to announce that we reached our goal! Whew!!! 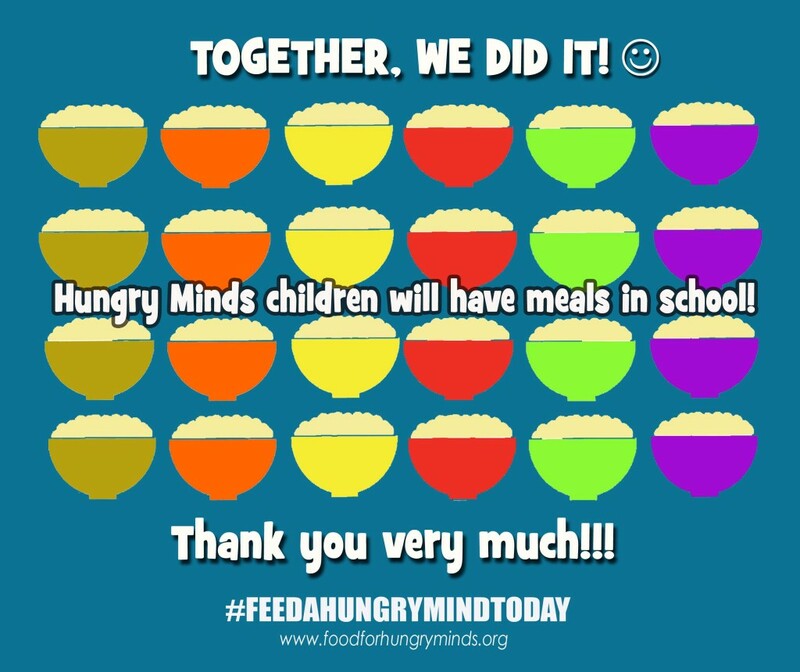 We will feed Hungry Minds children in school because of your help! Thank you from the bottom of our hearts!